Colleen Thomas is a New York based choreographer and performing artist. She began her professional career with the Miami Ballet and went on to work with renowned contemporary choreographers such as The Kevin Wynn Collection, Nina Wiener Dance Company, Donald Byrd/The Group, Bebe Miller Dance Company, and Bill T. Jones/Arnie Zane Dance Company among others. In 1997 a creative collaboration with Bill Young evolved into a company focused on rigorous physicality and dynamic partnering. Their work has been seen throughout the U.S, Europe, Asia, and South America. 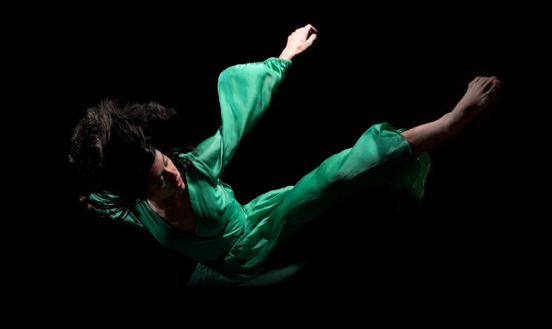 Now interested in focusing on illuminating her vision of contemporary work, Thomas has formed Colleen Thomas Dance. Thomas has presented her work in Hong Kong, Estonia, Venezuela, Peru, Brazil, and Russia and in New York at Joyce Soho, Danspace Project, DTW, Dance New Amsterdam, The Miller Theater, Danny K. Playhouse, and The Kumble Arts Center, as well as at Cal State Long Beach, East Carolina University, and Minneapolis at the Ritz Theater, Southern Theater, and The New Guthrie. Thomas is the co-director and a co-curator of the LIT series at 100 Grand. LIT supports the presentation of innovative work in an up-close and personal setting. The series showcases works by emerging artists who are bringing fresh ideas to the form, as well as established artists who are experimenting with new directions. Thomas received her BA in psychology from SUNY Empire State College and her MFA in Dance from University of Wisconsin in Milwaukee. She has been an adjunct faculty member at Long Island University's Brooklyn Campus, The New School, Barnard College, Skidmore College, and Bates College. She is currently an Associate Professor of Professional Practice at Barnard College of Columbia University.